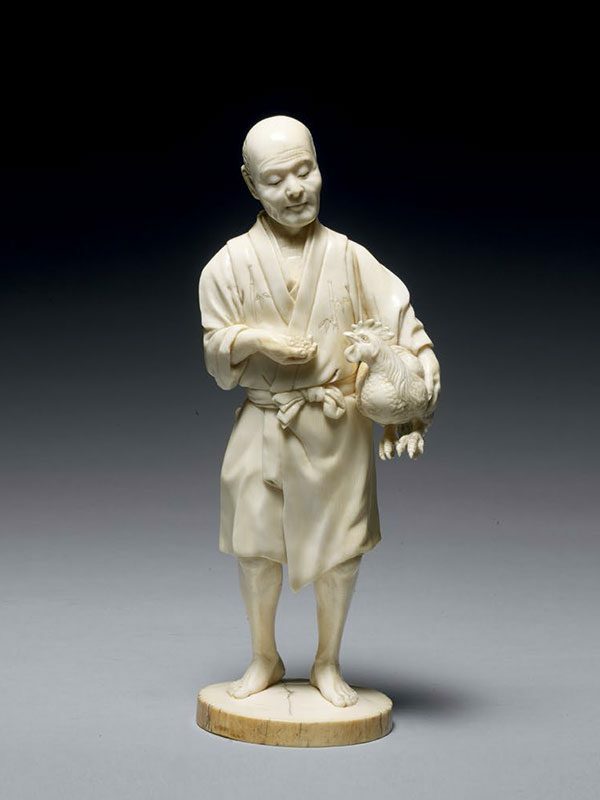 An ivory okimono depicting a man standing on a circular plinth, looking down at a cockerel he is holding in his left hand. 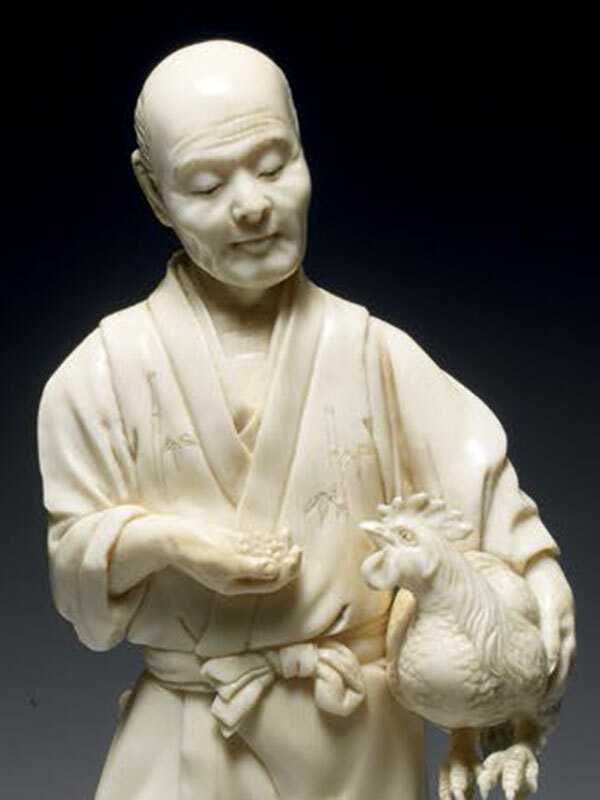 In his other hand he is carrying pellets of food to feed the animal. 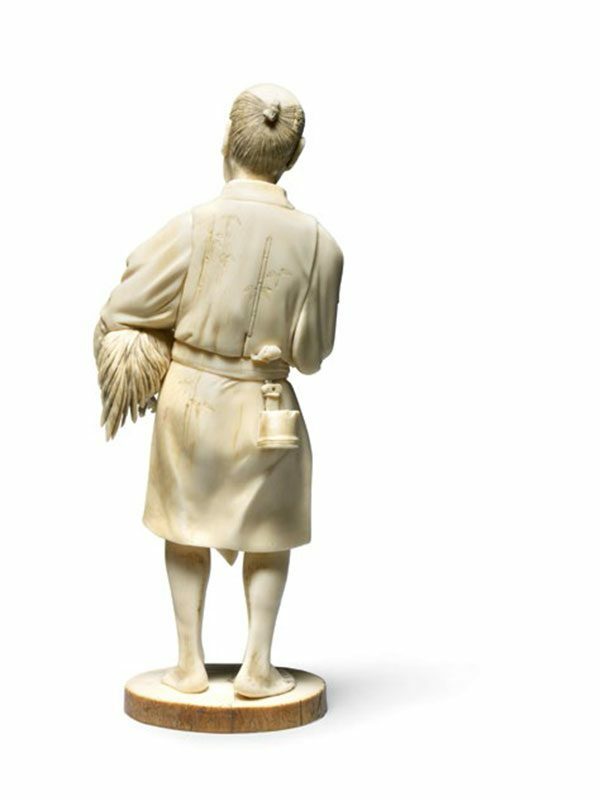 The man is dressed in a kimono, incised with lengths of bamboo on the front and back of the robe. His robe is tied with a sash at the waist. A round bucket containing more food is tucked into his belt at his back. He has a traditional topknot haircut; the top of his head is smooth and hairless while his remaining black hair is minutely carved and tied back. His facial features are finely detailed. The base has a red plaque inserted in the centre.